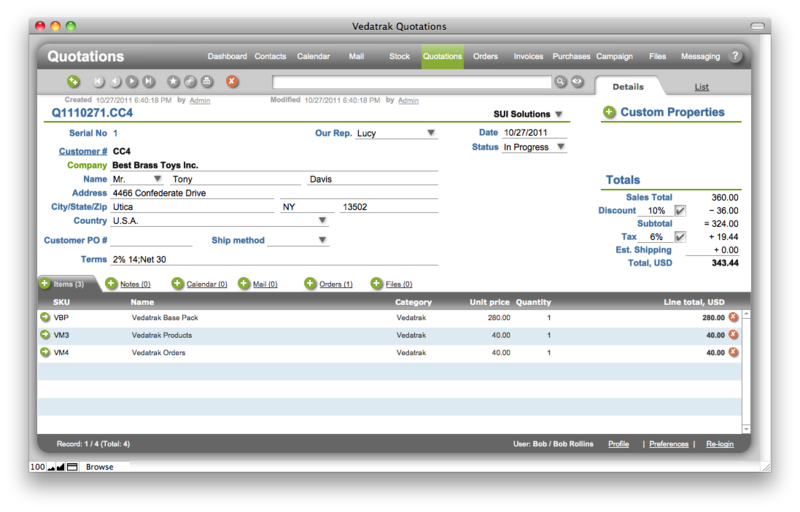 Vedatrak Quotations module supports the sales process by tracking quotes history. Vedatrak Quotations module supports the sales process by tracking quotes history. Provides sales quote with appropriate prospects or customers price level. All quotes are linked to the corresponding contact and can be easily found within the contact's card. Make new Order just in two clicks After Quote is signed. Each quote can be linked to a task. A sales rep can assign a task for an assistant to send a newly created fax, for instance.